All The Write Stuff: Meet Jennifer R. Hubbard, YA author! It is such a pleasure having you join us as one of our conference faculty this year. With three YA novels, submissions in Willow Review and North American Review, and a short story in the 2011 anthology Truth & Dare under your belt, our conferees are sure to gain wonderful insight from you. Jennifer R. Hubbard: Thank you! I’m looking forward to being there. I am curious, your first two novels, The Secret Year and Try Not To Breathe, are written in a male point-of-view...did you find that challenging? Is a female POV easier? Or doesn't it make a difference? Also, do you come up with your protagonists first or the story idea? Jennifer R. Hubbard: I grew up around men and boys. I have male relatives, friends, coworkers, and a husband. I grew up reading the work of male writers. So I have many models for a male voice. Besides, all characters are people first. I have both male and female characters in my head. In the short stories I published before I started publishing novels, about half my main characters were male and half female. The protagonists and story ideas show up together; each story seems to have its natural main character. With the Young Adult market being so popular I have to say what a brilliant idea to offer two sessions, Part 1 and Part 2 of Teen Voices: Writing YA at the conference. Can you give us a teaser on how one finds an authentic YA voice? Jennifer R. Hubbard: One advantage most of us have is that we’ve been teenagers. We’ve lived those years. While external fashions and technologies change over the generations, emotions and watershed experiences don’t; we can tap into that. I like that your protagonist, Maggie, in Until It Hurts To Stop has the same hobby, hiking, that you do. (I peeked on your website). Does any of Maggie's hiking experiences coincide with yours? Have you ever known any one like Raleigh Barringer, the ringleader bully from your story? Jennifer R. Hubbard: I did borrow some of my own hiking experiences for the book, such as the rattlesnake encounter, and a very windy mountain summit where I resorted to crawling. Raleigh isn’t based on any single, real-life person. But I think we’ve all known bullies. Raleigh doesn’t have much patience with people, and she feels better about herself when she’s asserting her own superiority, cutting other people down. She has had problems of her own, but unfortunately it hasn’t led to her being very empathetic, so far. I'm also curious, does hiking help you when working on story ideas? Jennifer R. Hubbard: Absolutely. I try to take a walk, even a short one, every day. Often my mind will solve a writing problem while I’m walking, but it’s good to get exercise in any case. I like that you tackle real issues teens face such as bullying and suicide. What has been the inspiration to write on these topics? Jennifer R. Hubbard: They’re important issues, and they are things that people really face. But I don’t write about a topic unless I think I have something to say about it, and something that’s maybe a little new or unusual take on the subject. For example, in Try Not to Breathe, I wanted to focus on what it’s like for a character to put his life back together after a suicide attempt. In Until It Hurts to Stop, I wanted to focus on the long-term effects of bullying, the way it can affect people’s thinking and their relationships for years afterward. I understand that you've been writing since you could hold a crayon. Can you remember the gist of any of your early creations? Also, what were some of the first stories which captivated you and which ones have stayed with you? Jennifer R. Hubbard: I think I wrote one about Christmas, and I was so young that I had no sense then what time of year Christmas was. I set it in July and had people eating corn on the cob. I used to illustrate my stories with crayons and staple them together. I read everything I could get my hands on. In addition to the children’s books my parents gave me, and that I found in the library, I raided the family bookshelf in our living room. It contained, among other things, a first-aid manual, a book of photographs, a book of poetry, and my mother’s nursing-school textbooks. I read everything even if I couldn’t understand it. I still have the poetry book. It was produced in 1969, and has this psychedelic neon cover. Could you tell us a little bit of KidLit Authors Club and YA Novelists Pushing the Boundaries of the Genre? What are your thoughts about synergy among writers? Jennifer R. Hubbard: The Kidlit Authors Club (www.kidlitauthorsclub.com) is a group of authors from the mid-Atlantic region who work together to promote, market, sign, and sell our books at stores, schools, libraries, conferences, and festivals throughout our region. Doing book signings can be such a lonely business; through the club, we can do group events instead. It’s more fun, and it offers book shoppers a wider variety of books. Because there are so many of us, we can almost always muster some writers to do any event we’re invited to. Our authors write for kids of all ages, picture books through young adult, so we can do events for many different age levels. Teaming up together this way has given us more opportunities, as well as giving more flexibility to the stores and libraries and schools. It has enabled us to support one another in many ways, personal and professional. YA Outside the Lines (http://yaoutsidethelines.blogspot.com/), subtitled “YA Novelists Pushing the Boundaries of the Genre and Writing from the Heart,” is a group of YA authors who do a joint blog. (I also have my own individual blog at http://jenniferrhubbard.blogspot.com/). Holly Schindler coordinates YA Outside the Lines. We have a topic each month, and we each have a certain day of the month to blog on that topic. I like it because it only takes a one-day-a-month commitment, and readers get to see so many different takes on each topic. I highly recommend authors finding other authors: whether for critique groups, swapping professional tips and information, doing promotional events together, or just giving emotional support and mentorship. This is a tough profession, full of uncertainty and rejection. It is immensely helpful to find other writers to share the journey with. What advice do you think is most important for writers to know? Jennifer R. Hubbard: Read a lot. Write a lot. Last question...What is next on the horizon for you? Jennifer Hubbard: I have three books out there right now, and my works in progress are at various stages of completion. 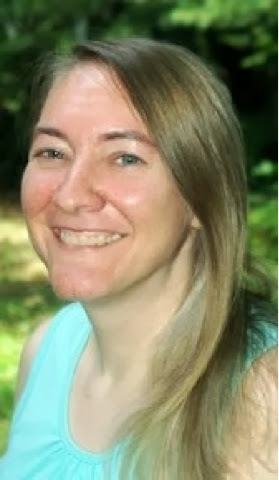 Jennifer R. Hubbard lives and writes in the Philadelphia area. Her short fiction has appeared in literary magazines including Flashquake, Willow Review, and the North American Review, and children's magazines including Cricket. In 2010, Viking/Penguin began publishing her contemporary young-adult novels. The Secret Year, a story of a boy coping with the tragic end of a secret relationship, was on YALSA's Quick Picks List and the Indie Next list. Try Not to Breathe, in which a boy recovering from a suicide attempt befriends a girl with many questions and many secrets, received starred reviews from Kirkus, Publishers Weekly, and Library Media Connection. Jennifer's most recent novel is Until It Hurts to Stop, about a formerly-bullied girl whose nemesis moves back to town. When not writing, Jennifer is usually hiking, reading, or at the library. Online, she can be found at www.jenniferhubbard.com. Tammy Burke, GLVWG member, 2011 conference chair and past president, has published over 300 newspaper and regional magazine articles and has interviewed government officials, business and community leaders, everyday folk and celebrities. Currently, she is in the revision stage for her first YA fantasy adventure book, the first in an intended series. When not writing, she works in the social service field and is a fencing marshal in the Society of Creative Anachronism (SCA).